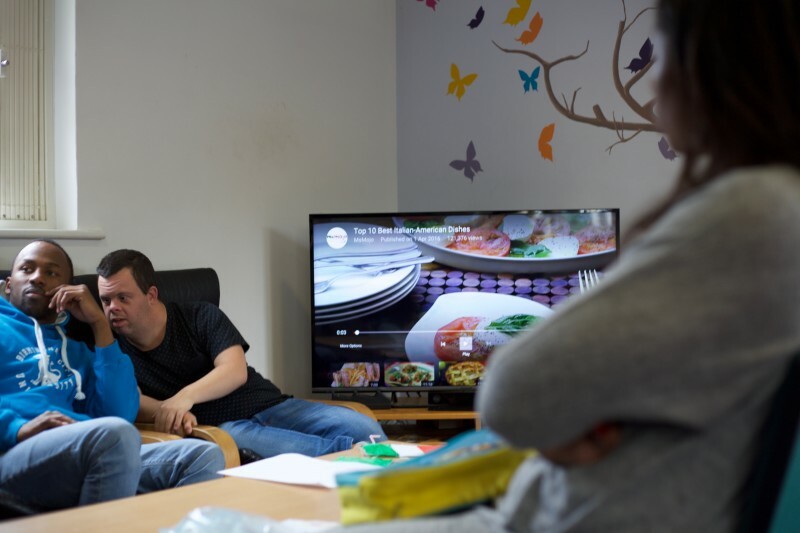 At our day centre Daylight, our members with learning disabilities make full use of our smart TV for a variety of activities that encourage independence and inspire members to participate in new activities and develop new skills. We watch YouTube clips as part of exercise or relaxation sessions, and access a variety of music to set the theme of our activities and for our frequent karaoke and dance sessions. We access transport timetables online to enable members to plan their own journeys. We can show the group clips of storylines from soaps & TV programmes to explore current events, social and relationship issues. For example – we used clips of fires in various soap storylines to highlight the dangers and consequences in our Fire safety session. Members vote democratically which activities they would like to do in Daylight and often will suggest the activities that are familiar to them, which they have done before. Having a larger screen to search the internet can mean that members can explore new venues and activities and can have an informed choice and broaden their experiences. For example – a member suggested accessing Jump Nation as an activity to try but other members did not know what it was and weren’t keen on choosing it. We were able to show the whole group the website to explore what it was all about and established it would be a suitable activity that could be accessed by all our members. Once they had a better idea of what it was they were keen to try it. Now our members regularly request to trampoline at Jump Nation. Members are able to practise using the internet to widen their skills and we focus on instilling internet safety and related issues. Computer games are very popular and a large screen helps with group games such as Wii Sports. This help particularly with members who have difficulty socialising and developing relationships.